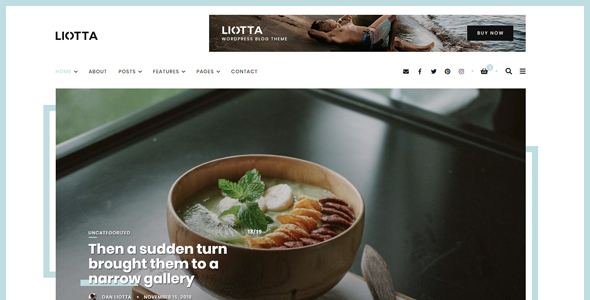 Liotta is an elegant and simple blog theme for WordPress aimed at bloggers, photographers, designers, adventurers or just about anyone who likes to share stories and have a strong visual presence on the web. 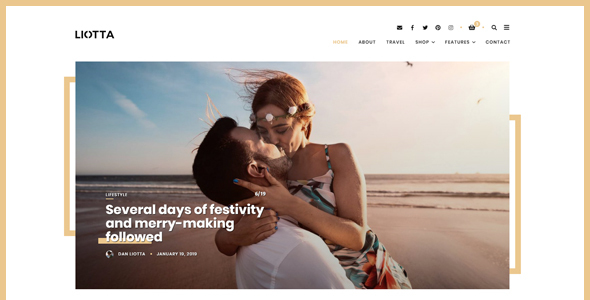 The theme comes with support for Instagram Feeds, Google Fonts, Flickr Feed, Custom Widgets, and Sharing and Post Liking functionality. Additionally, the theme supports the Mailchimp for WordPress plugin so you can maintain a subscriber base with ease. The theme fully utilizes the WordPress Customizer for managing theme settings with over 300 Customizer options. Responsive design allows users to experience the theme specifically tailored for their mobile device. Liotta comes with extensive Documentation which covers every part of the theme in details. If you still have questions, we also fully support our themes and you can contact us through our profile page at Hedgehog Creative. 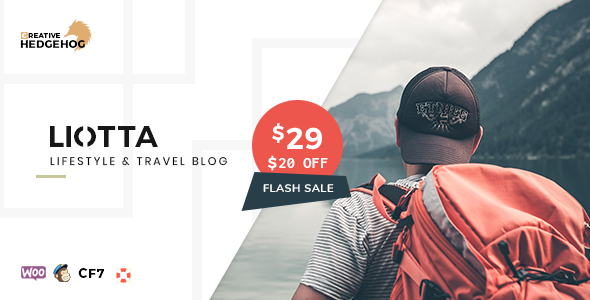 If you’re in need for a theme with emphasis on content with strong and bold typography, this is the theme for you. -- Bug Fix - Issue with the Sidebar on the left side. -- Bug Fix - Prefixed Font Awesome css script handle Feature Fix: Removed Editor Picks post selection from the Customizer to the Post meta box setting. -- Style Fix - Restyled the Instagram feed.